Wonder Girl Symbol Planner Clip/Bookmark. 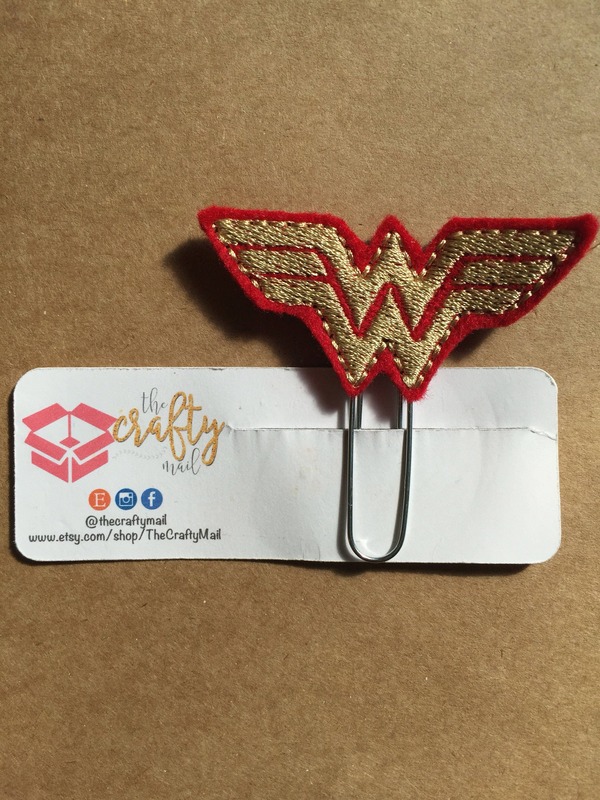 Large paper clip with Wonder Girl Symbol embellishment. Amazing! This is 1 of over 40 purchased clips for my Christmas Planner Group Party. This shop has the perfect clip for everyone in my list. My sincere Thank You to the shop owner for meeting my requests and my Apologies for being a demanding customer. I am very satisfied as I am sure all my friends will be too!